What was the first theme park in the nation? If you guessed Disneyland, you’re going on the naughty list. 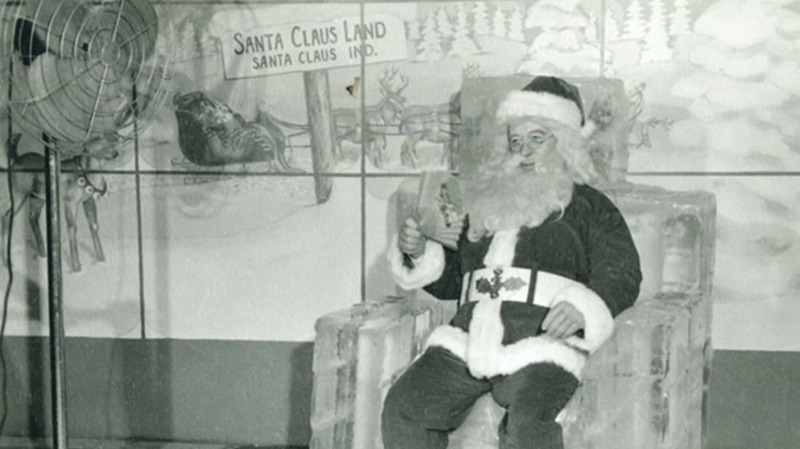 In fact, it was called Santa Claus Land—a year-round Christmas idyll in the middle of the country that came into being before Walt Disney decided to make his brand a tourist destination. 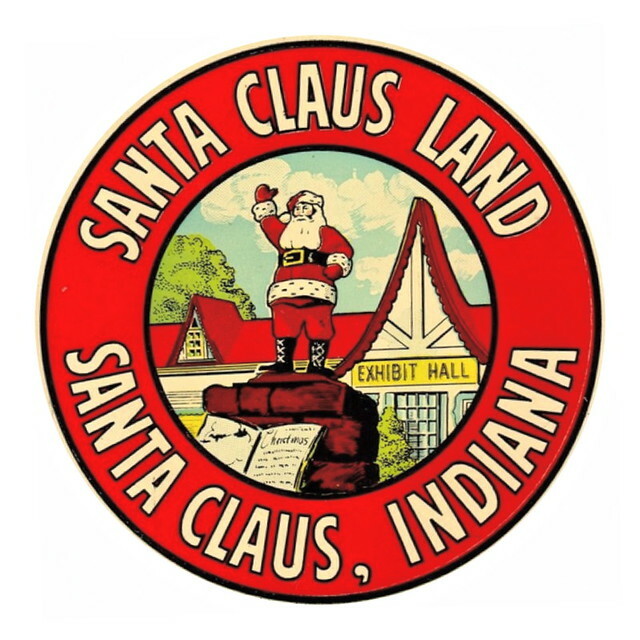 To understand Santa Claus Land, you’ve got to understand its location: Santa Claus, Indiana. The town became forever associated with Christmas back in the 1850s, when residents applying for a U.S. Post Office realized that their town, which had been established a few years earlier, had the same name as another Indiana burg. There was no choice but to change the name of Santa Fe, Indiana, to something else. After townspeople consulted among themselves, “Santa Claus” won the day. Little did the residents of the tiny town realize that they were setting themselves up for a cottage Christmas industry that would last for over a century. Though Santa Claus was the town’s name, one nearby resident felt the place wasn’t respectful enough to the man himself. For years, the teensy town had been a beloved place to send letters to Santa, which the postmaster responded to (with some help from locals) along with the town’s unique postmark. However, a local industrialist named Louis Koch thought that wasn’t enough—he believed the town needed a better way to honor everyone’s favorite Christmas visitor. Koch took matters into his own hands during early World War II, when he bought 260 acres of farmland with plans for an amusement park. The war intervened briefly, but when it ended Koch moved forward as swiftly as a reindeer pulling a sleigh. He and his son opened a Santa-themed park designed in an Alpine style and complete with adorable details like a toy shop, children’s rides, and appearances from Santa himself. It even had a House of Dolls aimed at little girls. Amusement parks existed long before Santa Land opened in 1946, but a park with a specific theme was something new. One of its greatest assets was Santa himself, who was played by a man named Jim Yellig for close to four decades. Yellig earned a spot in the International Santa Claus Hall of Fame for his trusty portrayal of the portly celebrity and is thought to have had over a million kids sit on his knee during his tenure. Koch’s bid to put the Santa in Santa Claus worked. 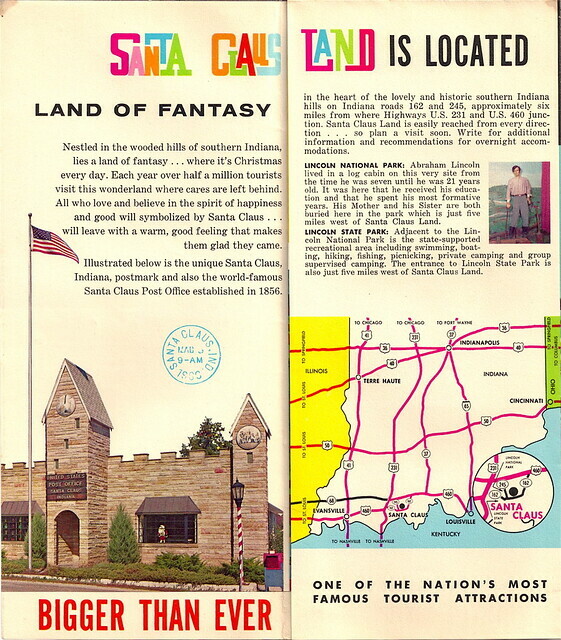 Despite being free initially (it started charging 50 cents admission to adults in 1955), the park generated enough revenue to make Koch’s son, Bill, think: Why not build out Santa Claus—the town itself—even further? Things changed at Santa Claus Land over the years. In the 1970s, the park began adding more daring rides in an effort to compete with a growing rollercoaster trend. In the 1980s, it changed its name to Holiday World and incorporated other holidays like Halloween, Thanksgiving, and the Fourth of July. These days, it also contains a water park called Splashin' Safari and several noteworthy coasters, like The Raven and The Legend. It may no longer be called Santa Claus Land, but Holiday World is still a local destination and has plenty of Christmas tributes (Santa still makes daily appearances). And perhaps the best part of the park is the fact that it emerged from one small town’s Santa obsession.